– Produce, to an acceptable standard, an evaluation and analysis of aspects of particular leadership issues in an organisation through the use of relevant leadership theory. – Compare and contrast differing leadership styles and behaviours in an organisation from differing cultural, geographic and historic perspectives. You will produce a written report that critically assesses and evaluates your personal leadership using Seven Leadership Mindsets Theory (vMEME) and all the types of leadership approaches and styles it contains. 3.Critically evaluate how certain types of leadership/management styles determine who will ‘follow and how’. Through application of Seven Leadership Mindsets Theory (vMEME) you will have a tool (and the skill) to critically assess and evaluate all types of personal leadership theories and worldviews that include USA, UK, China, European countries, India, Oman, GCC, African countries, etc. Leadership is different depending on the relevant mindset (life conditions, how individuals adapt to successfully compete and socio-cultural elements). Inevitably leadership mindset impacts everything in a company – strategy, people, performance, productivity, etc. Introduction- to assignment purpose and your organisation / sector that you will explore. There is no literature review in the sense of having a separate theory section, you have to integrate the seven mindset thinking systems theory, and any related theories e.g. emotional intelligence or six sigma approaches, with the personal leadership styles within your own organisation into the specific questions (1, 2 and 3) and the answers below. 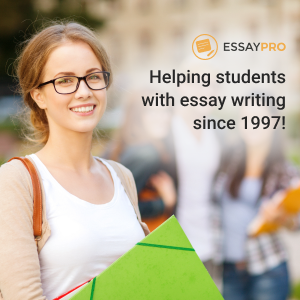 This assignment core can be divided into three equally weighted sections. These have been presented as three questions. Identify within in your organisation the range of leadership mindsets. What evidence do you see in leaders to underpin your assessment? Apply the seven mindsets theory to your key members of your team at your work place (Do not mention names). Planning for present and future role taking into consideration everything you have read about leadership mind-sets. Put in place a set of goals, a strategy to meet these developments, the resources needed (People / Physical) and a time frame. How likely is your leadership style to be one that will support the organisation change to become a key leading 21st Century business? 3.Discuss how your understanding of ‘leadership’ has evolved as a result of the readings given in this unit. These form specific conclusion and recommendations. Having studied the seven mindset-thinking systems, critically reflect and conclude what the definition of an effective leader should be. Critically discuss if you view of leadership has evolved or if it has stayed the same. Make recommendations for your own development and that of the organisation to address your vision of what leadership is.